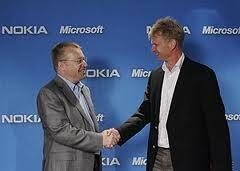 Stephen Elop ousted OPK as the new Nokia CEO, is he good at ‘Jobbing’? So it’s finally true and it’s not a techie gossip anymore. As today, Nokia Press announced that Nokia’s Finnish CEO, Olli-Pekka Kallasvuo, is out and he will be replace by Stephen Elop, a Canadian who currently works as the head of Microsoft’s Business Division. Starting September 21, just after the Nokia World 2010, OPK will not be the Nokia CEO any more, but he will still remain as a chair on the Board at Nokia Siemens Networks. “I am extremely excited to become part of a team dedicated to strengthening Nokia’s position as the undisputed leader of the mobile communications industry, with a relentless focus on meeting the needs and expectations of customers. Nokia has a unique global position as well as a great brand upon which we can build. The company has deeply talented and dedicated people, and I am confident that together we can continue to deliver innovative products that meet the needs of consumers. The Nokia slogan clearly states our key mission: Connecting People, which will acquire new dimensions as we build our portfolio of products, solutions and services.” – Elop stated. With the new Canadian flavour on the position, everyone is waiting anxiously if he will be the solution to for a good market on North America and in the line of smartphone section. What do you think? Is he really good at jabbing jobbing the enemy?